Saw my last article about RF remotes and Fedora? Noticed the box in the top right corner containing a table of contents? Pretty cool, huh? This really nice plugin by Hackadelic parses your headings automatically and puts them into a TOC-box. It’s even collapsable and you can change its position through shortcodes within the post. 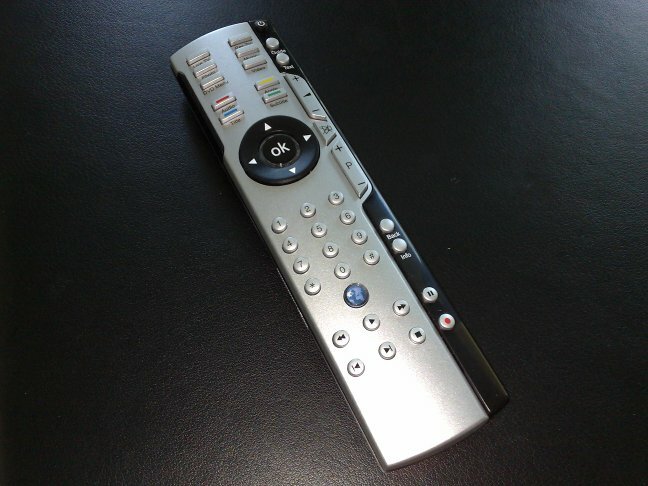 Remote controls for PCs are really great. With an ordinary remote for just a few bucks you can control almost everything on your PC while sitting on your couch. Well, thanks to lirc, of course. But most of them have one major design flaw: They’re infrared based, i.e. remote controls transmit data on an modulated infrared beam to your IR-receiver. Even a (think) sheet of paper can block the beam. So your remote always has to be within visual range of your receiver. Recently (well, yesterday to be exact) I was really sold on a a syntax highlighting plugin for WordPress called WP-Syntax. Basically, I am still. It is still easy to use, looks good and comes with a huge variety of supported languages. But if you ask the WordPress-guys it isn’t first choice. In their FAQ they point you to Alex Gorbatchev’s syntaxhighligher Google Code project. There are quite a lot of implementations availible including three different plugins for WordPress. So I looked a little closer at SyntaxHighlighter Evolved and I must admit that it is really nice. Especially the line highlighting is very nice. It doesn’t support as many languages as WP-Syntax, but as I mainly use it for Java snippets that shouldn’t be a major problem. I just ran into WP-Syntax which is a syntax highlighting plugin for WordPress using GeSHi. It supports a wide range of popular languages (including of course Java! ).